They rode out as the snow began to fall, a party of seven. Their purpose is to rescue a band of travellers trapped by an avalanche in the high Bitterroot Mountains. But once clear of the Montana township of Wicker it is soon apparent that the on-coming winter blizzards are not the only threat to success. The swiftly assembled group have brought with them their own grievances and evil. Moreover, the mountain holds an unexpected threat for young Jess Clarke and ‘Doc’ Hames. Starting with a bank robbery that introduces the reader to a family of outlaws that have an important role to play in the outcome of this very fast moving tale, the story never lets up in the action stakes. Will DuRey has created some wonderful people, all of which have their own personalities, that soon have the reader hoping they succeed, or not, in their personal agendas. 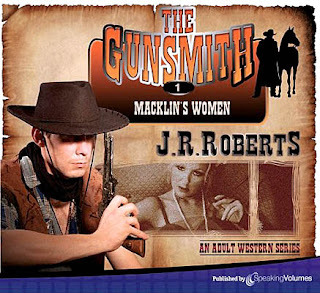 The book contains strong characters in both sexes. Descriptions are visual, and the dialogue believable. There are a number of ‘edge-of-the-seat’ situations that provide gripping and tense reading. The story is paced beautifully, and everything is resolved in a final series of exciting confrontations. 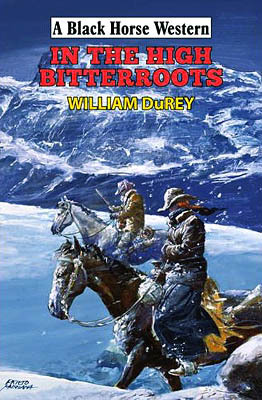 This is the third Black Horse Western from author Will DuRey* and the first I’ve read. Once finished I was left wishing I’d read his previous two books, and now I’m eagerly awaiting his next. Great to see that Hale have used artwork that could easily illustrate a scene from the book. In the High Bitterroots is officially released tomorrow but is available now from the usual Internet bookstores. * As the eagle-eyed amoungst you will have already spotted, the cover fronting this review shows the authors’ name as William DuRey, the book I have has him named Will DuRey. Like the Ace Doubles this contains two stories bound back-to-back. These are both comic adaptations of books by well-known authors. 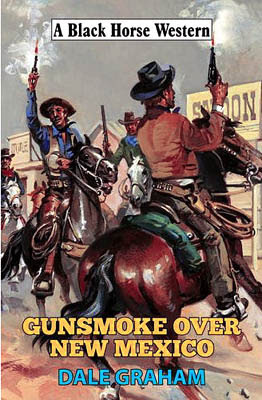 This Double Western Pictorial was published in Australia by the Junior Readers’ Press and distributed by Gordon and Gotch (A/sia) Ltd. I believe Dell originally published it in America. The comic isn’t dated so I can’t tell you when it was published. The comic measures 18.5cm X 13.5cm. It has a colour cover and a black and white interior. 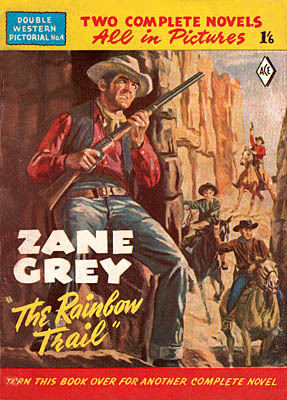 I’ve never read the book of The Rainbow Trail, which was a sequel to Zane Grey’s Riders of the Purple Sage, which is often said to be his best novel, so have no idea how much has been cut for this comic version, or how truthful it is to the original. From comments in the dialogue it seems that many of the characters are from that previous novel, although none of them take centre stage for very long as we follow the fortunes of different people, all intent on rescuing Jane and Lassiter. The story has strong roles for both male and female leads, a fair amount of action and a lot of dialogue. The story takes place over a number of years, which allows little Fay Larkin to grow into an attractive young woman so she can become the love interest for John Shefford, who eventually finds Jane and Lassiter with the help of Indian guide Nas Ta Begay. 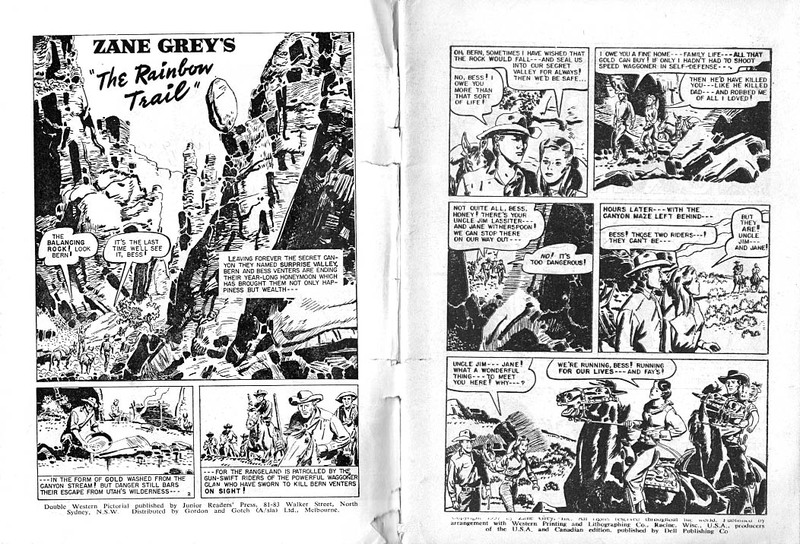 There isn’t any mention of who drew the comic but the drawings are clear with recognizable characters, and contain a fair amount of background detail. Max Brand backs The Rainbow Trail with Silvertip’s Roundup. 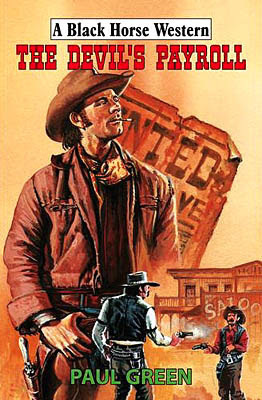 Refused a drink and threatened with violence in a saloon because of his Indian heritage, Falan Wilder, the man called Breed, severely wounds Reed Fowley, and then takes refuge in the desert. Fowley’s father and brothers give chase, but are no match for Breed, who escapes and goes to his homestead in Lone Pine Canyon below the Mogollon Rim. But the Fowleys will not give up. They hire man-hunter Dutch Regan to find him. 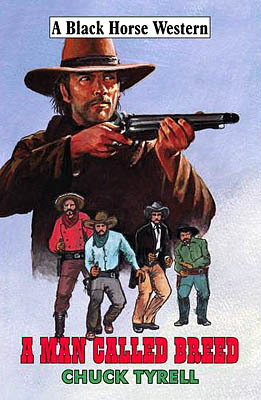 Once found, Reed Fowley, and brother Bud, hire Robert Candless, a former major of the Colorado Volunteers, and a band of savage outlaws to storm Breed’s homestead and kill him. Breed, his wife-to-be Blessing, and his protégé, Sparrow, must fight for their lives, or die. 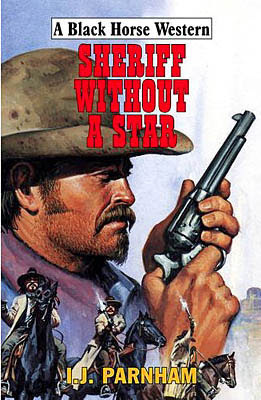 Unusually for a Black Horse Western, this story is told mainly in the first person, through Falan Wilder. I say mainly because Chuck Tyrell quite often moves the tale away from Breed so the reader can follow the movements of those who hunt him, these parts of the story being told in the third person. A lot of the story involves memories, these flashbacks used to flesh out both Wilder’s past and that of the Fowleys. Chuck Tyrell also provides a lot of information regarding the landscape his characters find themselves in. Chuck Tyrell includes many real people too, mostly just mentioned as someone Wilder has worked with or met in the past, such as Al Sieber. The plot is expertly laid out and builds well to its final exciting showdown, which sees Wilder and Sparrow fighting against superior odds, the outcome of which left me wondering if Wilder will return in another story further down the line. Chuck Tyrell (this being a pseudonym for Charles T. Whipple) often has his heroes from one book guest starring in further books, so this could just happen. A Man Called Breed has a release date of November 30th but should be available now. 1889 Cuba! When his best friend and fellow Rough Rider lies fatally wounded, Jake Rains swears to care for his widow. 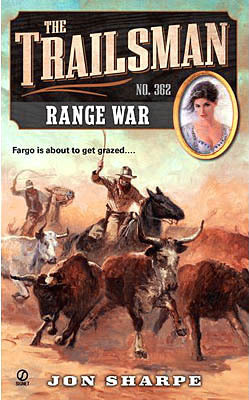 The trouble is Kitty Cartright already has a protector, Chris Leeward, owner of the double E ranch. Things don’t look good when Jake arrives in Oakum. There is trouble at the Cartright place, but Jake and his new friend, Sam, are determined to put things right. Not only are they faced with Leeward’s cruel riders, a band of zealous mountain men lusting for vengeance, but also the advent of the most modern of inventions. The challenge calls for old-fashioned courage on the streets of Oakum where Jake Rains must fight for his life. 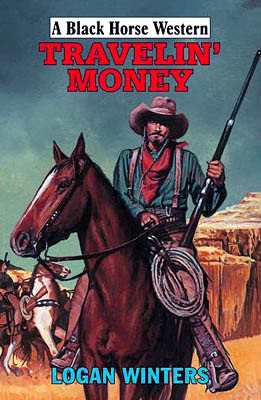 Before I began reading this I was struck by the different look to the cover of this book, in my opinion much more modern in its approach than the usual paintings fronting Black Horse Westerns, something I hope we see much more often. Some may recognize the author name of this book so it’ll come as no surprise to discover that he also painted and designed the cover. 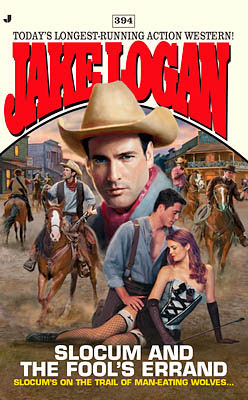 The story is set much later than many Black Horse Westerns, again this makes a refreshing and welcome deviation. The first thing that struck me about Tony Masero’s writing is that it is very visual, a trait that perhaps comes from his many years as an artist (you can find an interview I did with Tony about his cover art here). His pacing is excellent and his characters are well defined, as are his scene and action descriptions. One of my favourite parts of the story is a horse verses automobile race, a contest that ends dramatically – to say more would be too much of a spoiler. This book is Tony Masero’s first for the Black Horse line, and hopefully there will be many more to follow. 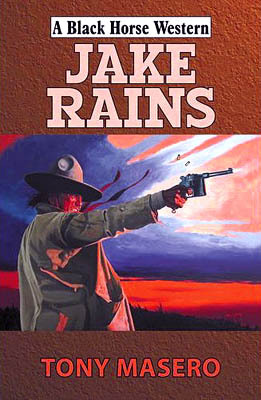 Jake Rains is officially released on November 30th, but should be available now from the usual Internet sources. 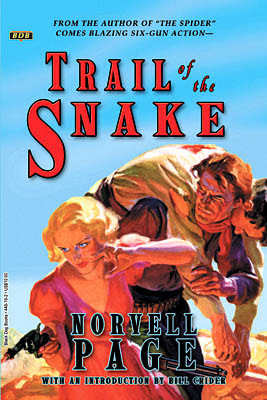 For millions of readers, the name Norvell Page is synonymous with the pulse-pounding, red-hot adventures of The Spider. Years before he was guiding The Spider, Page was turning out dozens of short mysteries and Westerns. Trail of the Snake is another beautifully produced book from Black Dog Books. Sandwiched between an entertaining introduction by Bill Crider, and an informative look at Norvell Page’s history written by Tom Roberts we have five stories that originally appeared in the pulps during the 1930s, the last three tales being published under the pseudonym of N. Wooten Poge. 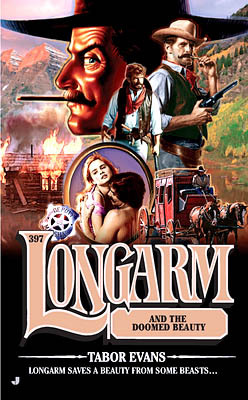 Three of the stories are about lawmen bringing down outlaws and the other two have revenge as the main storyline. They are very fast moving and packed with action and colourful characters. Two of the stories are from Spicy Western Magazine, so have a number of attractive women in them that all seem to lose their clothes at some point. (The other three stories appeared in Masked Rider Western Magazine, Thrilling Western, and Western Trails) Some of the stories contain neat twists, a couple of which I didn’t anticipate, which in turn provide some neat outcomes to the tales. And when they thought they had finished Kane off in the dark, he was left for dead. The buzzards saved him. But, to match the Ranger’s star he carried, Kane had gained a star-shaped scar on his right hand – the hand that meant the difference between life and death to a ranger who lived by the speed of his draw. Kane wanted revenge – and got it. This book tells how Kane came by the scar on the back of his hand and why he has two fingers bound together. It is also a study in fear – fear that Kane won’t be able to use his gun-hand again, this fear keeping him from returning to his job as a Texas Ranger. It’s emotions like this that I feel is one of Louis Masterson’s strong points, something he writes so well, puts over in words that strike a lasting chord within the reader. Fear isn’t the only emotional theme Masterson puts Kane through. The events that trigger this lead to a strong need for revenge. Masterson also vividly describes animal magnetism, strong desires between Kane and a number of different women – desires that Kane struggles to keep in check. 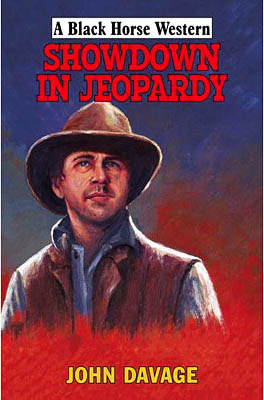 The book also introduces us to Charlie Katz, another Texas Ranger who often partners Kane, and through memories of his, and Kane’s, we discover little snippets about previous cases they worked on, assignments that helped shape Kane into the man he is in the opening scenes of this very fast moving story. The final, desperate gunfight closes the book extremely well, and leaves this reader hungry for more. After an attempted assassination, Governor Lilburn Boggs couldn’t prove who’d taken a shot at him, leaving the identity of his assailant a mystery. Twenty-five years later and after the passing of Gov. Boggs, Detective Calvin Pogue has been hired by the Boggs family to open this cold case and find out the truth about the assassin. From Missouri to California and into the heart of the Utah Territory, Detective Pogue relentlessly seeks clues that lead him to the legendary Mormon gunman Porter Rockwell – who still isn’t making things easy for anyone. This book follows a fictional investigation by Pinkerton Agent Calvin Boggs into a true assassination attempt. 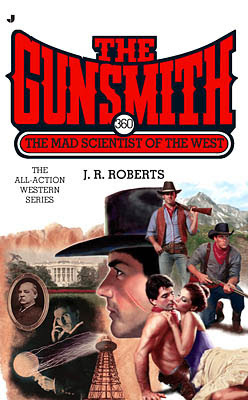 It seems many people believe Porter Rockwell to be the man who pulled the trigger, and Boggs’ trail to discover the truth sees him meeting and interviewing many people who really lived, for instance Brigham Young, and, of course, Porter Rockwell. 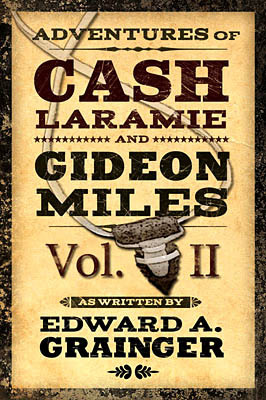 Rod Miller’s novel is very readable, and mixes the western with detective thriller stylishly. The book is made up of a series of interviews that capture the unique voices of those being questioned well. The interview with Rockwell is broken up and appears at regular intervals throughout the book, nearly all the chapters end with these segments. This is not an action western, rather it’s a fascinating look at this assassination attempt, and at the Mormon wars. Both sides are given voice so as not to colour the readers’ judgement. Yes, there isn’t a clear conclusion, as there never has been, but the facts are laid out clearly, and the reader is left to make his/her own mind up. Having said that the book ends with a surprising final chapter that makes for an unseen and dramatic twist ending, but also, perhaps, hints at the way Rod Miller wants the readers’ decision to sway. Of course any novel based on historical facts that have never been proved one way or another leaves the reader with more questions. Questions that have me interested to learn more about Governor Boggs and Porter Rockwell. 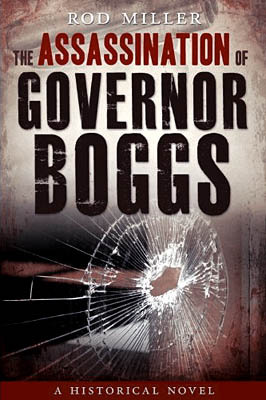 The Assassination of Governor Boggs is an entertaining and educational book that should be essential reading for anyone interested in Boggs, Rockwell, and/or the Mormon wars, or those who enjoy novels based on fact.